Everyone is different, and the way patients approach their dental care is not an exception. 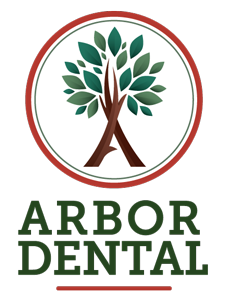 At Arbor Dental, we want to ensure every patient visiting our office for any type of dental procedure is as comfortable as possible. Starting in our waiting room, we offer an array of complimentary services from a beverage bar to scented towels and warm blankets. Once in the chair, we have flat screen televisions in every room and wireless headphones to help everyone feel as comfortable as possible. For some patients, the added peace of mind that comes from sedation helps them to relax completely during their visit. Because of this, we offer sedation dentistry to accommodate these needs. Some people suffer from dental anxiety or prefer not to be aware of the details of their dental treatment. 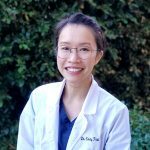 In these cases, sedation dentistry is a valid option to help patients get the most from their visit. Regardless of sedation, our friendly team will explain every detail of the procedure or treatment you are receiving before beginning. In the event you desire to be sedated, we offer a few options to help relieve any potential anxiety you may be experiencing. With oral conscious sedation, a medication is offered before the procedure or treatment begins. By taking the medication, we hope to help calm any nerves or alleviate any stress you may be feeling. With oral conscious sedation, you are awake during your appointment but are able to relax and communicate effectively throughout. Nitrous oxide, more commonly referred to as “laughing gas,” is an option to explore when the patient requires more than an oral sedation to relax. With nitrous oxide, you are able to relax during your visit but the results are short term. As a result, you are able to drive or resume your normal daily activities immediately after your appointment. Contact Arbor Dental today and we will make sure you are as comfortable as possible when you come in for your appointment.